As you age, your skin does too – in various different ways. But there are subtle ‘sneakments’ you can have in-clinic that prove that whilst you’re getting older, no-one else need be any wiser. Non-acid peels are a wonderful entry-level treatment in your twenties – the perfect bridge between face creams and cosmetic procedures (if that is your want.) These are the perfect fast-fix, as they require little or no downtime, decongest skin and exfoliate leaving a smooth and fresh appearance. Another great option is Clear + Brilliant laser, as it is mild, but massively beneficial. Pregnancy in your 30s can bring on drastic hormone changes that result in acne, pigmentation, broken capillaries and itchy skin. Additionally, in the 30s – due to levels of oestrogen decreasing – elastin and collagen production also fatigue, which causes the skin to get drier and lose its elasticity. IPL is going to be a good friend of yours in your 30s. It’s the perfect treatment to reboot tired skin, treat capillaries and pigmentation problems, explains Kaye. 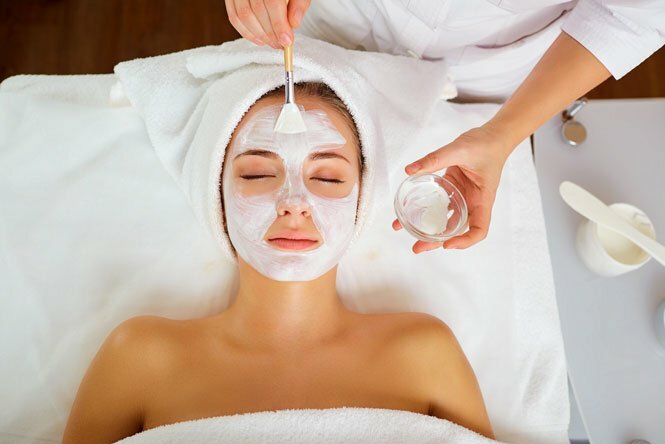 “This treatment has minimal to no down time in the form of some superficial redness and possible mild flaking,” so a clinic visit by day followed by cocktails in the evening is extremely doable! Maria agrees that laser is popular in this age group, for “women who are realising that lasers treat acne, veins and capillaries and pigmentation with little to no down time,” says Maria. Treatments such as Skin Rejuvenation Therapy are also a great way to rebuild collagen and elastin cells by stimulation and getting a healthy glow back into your complexion. “Skin in your 40s has had a significant amount of sun exposure and can be sallow, blotchy and wrinkled,” explains Dr Li-Chuen Wong Consultant dermatologist, Sydney Skin, Newtown. Women may be going through menopause in this decade, she adds, and these hormonal changes only further exacerbate skin dryness, irritation and a notable loss of firmness. Thermage is an oracle in this age group. Working its wonders to lift, plump, contour and tighten skin that is beginning to show signs of gravity taking effect. “This is a radiofrequency treatment that gives instant results which progressively improve over the course of six months post treatment,” explains Kaye. “It requires no down time and is undetectable as it is working with your body’s natural immune system to remodel collagen and elastin.” However, it can be pricey, so if you are not up for the cost – or the patience it takes to see results – you may want to opt for a slightly more budget-friendly option like Titan, suggests Dr Will Mooney, of FacePlus MediSpa Sydney. “It’s a safe, non-surgical procedure that effectively tightens loose skin and restores its youthful appearance using ultrasound technology,” he explains. But menopause has a way of causing havoc on hormones, so if you haven’t gone through the ‘change of life’ yet, you are likely to do so in your 50s. “Menopausal skin usually means dryness, thinning epidermis, lower cell turnover, more susceptibility to sun damage due to the skin containing less melanin and evidence of age spots as melanin synthesis increases,” explains Kaye. Skin rejuvenation therapy is great for pigmentation, collagen and elastin building and wrinkled skin, which needs a lift, explains Maria. And this is the age-group that is also opting for Fraxel, Kaye adds. “Fraxel treats pigmentation, age spots, improves skin texture and evens skin tone,” she says. However, you may have to press pause on the daily planner for up to five days, as the post-treatment appearance of the skin is akin to windburn, with redness, scaling, dryness and flaking all commonplace. But, if you can stick it out, the results are phenomenal. Skin is renewed to a point you didn’t think possible. And all that sun damage? In the past!